Medically, high blood pressure is called ‘hypertension’, and it is a major cause of death and disability worldwide. According to the World Health Organization, up to 40% of adults around the globe have hypertension. This is an extremely scary statistic, especially because of how deadly it could be if left unattended to. In fact, hypertension is estimated to cause 7.5 million deaths worldwide each year or about 12.5% of all deaths. So, seeing how deadly it is, everyone should know enough about this condition, try to spread the word that people should know their pressures, and encourage those who have been diagnosed with it to seek immediate care and treatment. Well, this is exactly what I’ll be explaining in this article, we’ll discuss why it is called a silent killer, what its symptoms are, what causes it, and what a person who’s diagnosed with it can do to lead a healthy life. The main reason why hypertension is called a silent killer is that a lot of the times it has no symptom. So what this means is that a person can have a high blood pressure and not have any clue about what’s going on in their cardiovascular system. A lot of the times, high blood pressure is incidentally found during clinic visits for a sometimes unrelated complain or disease. 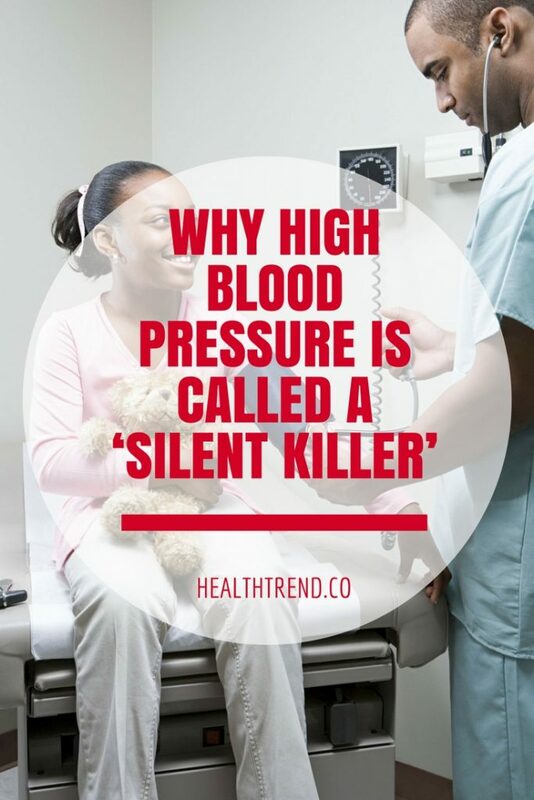 To emphasize the steps health workers take in preventing this ‘silent killer’ from wreaking any havoc, blood pressure is one of the vital signs taken before any patient sees a doctor in the emergency room or clinic. It is called a vital sign, along with body temperature, the pulse rate, and breathing rate. Even if you came to complain about a two-day-old cough, there are high chances that you’ll get your blood pressure checked before you walk into the doctor’s office. I know you’re probably thinking: Is there any other way to know if a person has a high blood pressure? Are there no symptoms at all? Well, the truth is that there are. But by the time a high blood pressure starts causing symptoms, it is often very high. I must still emphasize that a person should not wait for hypertensive symptoms, as these symptoms pop up quite late. So, it is vital that you check your blood pressure routinely, even if you feel completely fine. When a health worker wants to check your blood pressure, a manual sphygmomanometer with a stethoscope can be used. There are also electronic ones that are faster (although sometimes less reliable). When the first number (also called systolic blood pressure) is greater than 130 mmHg, or if the second number (also called diastolic blood pressure) is greater than 80, a person is said to have high blood pressure. Note: Hypertension isn’t diagnosed from just one blood pressure reading, it has to be repeatedly raised on blood pressure checks on different days before hypertension can be confirmed. Take your medications if prescribed. Don’t skip any days. If you’re overweight or obese, discuss with your doctor about steps to lose weight. There are many people who are hypertensive but won’t develop a stroke or heart problems due to how well they were compliant with their doctor’s advice about coping with hypertension. If you have been diagnosed with hypertension, you too can lead a normal life by following the aforementioned tips.